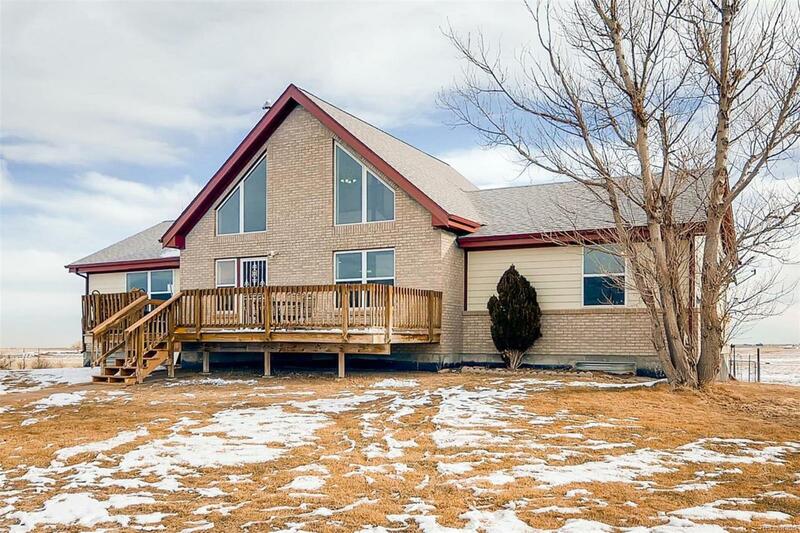 Gorgous Prairie Home, Light and Bright with open floor plan gives a true prairie feel. This blond brick home offers a rural living experience in a solid family neighborhood, a great place to raise kids, or just enjoy peace of mind. Get out of the rat-race via easy commute to Byers Colorado. 39.72 acres of elbow room and beautiful expanding views. This home offers you a unfinished full basement to expand the living area if desired or a handy place to set up shop for hobbies or work, not to mention the detached shop for storing equipment or vehicles. This home is always well lit with natural light, the great room offers upper windows to stream in the warmth of Colorado's many sunny days. The loft offers views as far as one can see. With decks on both the front and rear of the home entertaining will be a must, but honestly, just to sit and enjoy the peace and quiet may be more what you are after in this country setting. This home offers so many features that it is truly a must see! Offered by Federal Real Estate.